Home / Around the World / 15 Things We’re Crazy Excited About Arriving in 2019 at Disney World! 15 Things We’re Crazy Excited About Arriving in 2019 at Disney World! 2018 was an exceptional year at Walt Disney World! As we celebrated Pandora – World of Avatar’s 1-year anniversary at Animal Kingdom, we were also welcoming a new land in Hollywood Studios – Toy Story Land. Among these highlights – loads of new restaurants, entertainment, and retail options joined Walt Disney World. While 2018 was fantastic, we’re thrilled to say… 2019 is going to be INSANE at Walt Disney World! If you haven’t already, you should definitely start planning a trip of a lifetime! Check out these 15 things we’re crazy excited about arriving in 2019! The Incredibles has been a huge success this summer in Magic Kingdom with their fantastic set-up in Tomorrowland. For 2019 however, The Incredibles will be shifting over to the former Pixar Place where the Toy Story Mania entrance was once located in Hollywood Studios. This Pixar Place is getting a transformation into a Municiberg city block – home to The Incredibles characters! There will be a block party featuring Mr. & Mrs. Incredible and Frozone. PLUS – enjoy meeting our favorite superhero clothing designer, Edna Mode. Remember the days when you could meet Mike Wazoski and Sulley from Monsters, Inc. at Disney’s Hollywood Studios? Great news! These best buddies are coming back to Hollywood Studios for a meet and greet to be held at Walt Disney Presents. This will replace the current meet and greet with Star Lord and Groot. We can’t wait to hug these two! It means “no worries”! 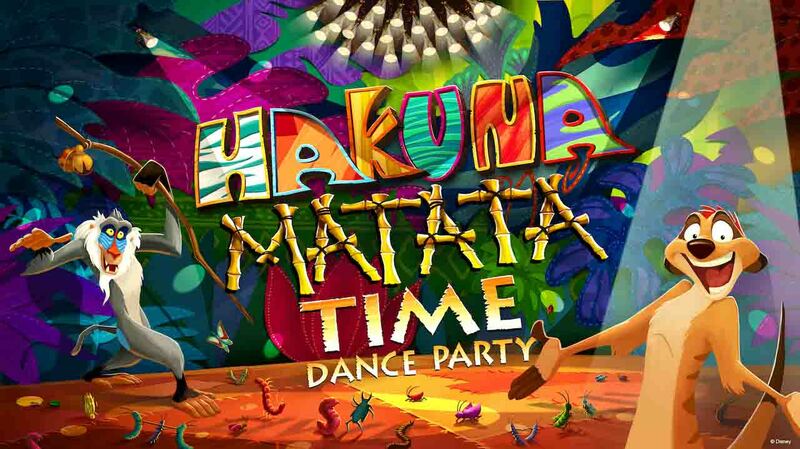 Time to dance along as Disney celebrates The Lion King’s 25thanniversary with a Hakuna Matata Time Dance Party located in Discovery Island at Disney’s Animal Kingdom. Timon and Rafiki are ready to dance along with the crowd while reminding us “Hakuna Matata”! The Epcot International Festival of Arts is back for 2019! This new“ish” festival is well worth a visit. With lower crowds than you’ll find compared to the other three Epcot Festivals (Flower and Garden, Food and Wine, and Festival of Holidays), we especially love visiting this time of year! The visual and performing arts are at their finest, including Disney on Broadway Concert Series and even indulging in “tasty arts” with food and beverages. “Move It! Shake It! MousekeDance It! Street Party” – Guest will have an opportunity to dance along with their favorite Disney pals with music beloved Mickey Mouse Club songs. The timeless Magic Kingdom Dapper Dans will sing about the sweet couple! Mickey and Minnie themed snacks and sweet treats will be available for purchase at many of the eateries and gift shops. Plus, who doesn’t love some special Mickey and Minnie merchandise! The Mickey and Minnie’s Surprise Celebration is only for a limited time, however, so be sure to enjoy all these mouse couple celebrations at Magic Kingdom while you can. Disney’s Hollywood Studios’ shows are some of the very best on Walt Disney World property! Well, a new show is racing into the mix from the belovedCarsfilms! Located near Rock ‘N’ Roller Coaster, guests will have an opportunity to experience Lightning McQueen and his best friend, Tow Mater. Plus, after the show, guests will have an opportunity to meet Cruz Ramirez. Get ready to sit back and enjoy the show! Ka-Chow! Disney’s newest form of transportation is currently under construction and scheduled to open in 2019! This is the greatest transportation task Disney has tackled in quite some time and is much needed with the influx of people traffic. The transportation is a gondola-style system that will take guests to and from multiple locations including Epcot, Hollywood Studios, Riviera Resort, Caribbean Beach Resort, Art of Animation Resort, and Pop Century Resort. Get ready to glide along in your Skyliner cabin with unbelievable views and ease of transportation. This one is still under much speculation! As of October 21, 2018 – Rafiki’s Planet Watch in Animal Kingdom closed for “refurbishment”. Much speculation is surrounding this area. When it was first rumored to be closing, it was said to be a permanent closure. Now, the latest news is that this area will in fact reopen but may have some changes. We are excited to hear what these changes may be and to experience them hopefully in Spring 2019. We were sad to see The Great Movie Ride close in 2017, but when it was announced that Mickey and Minnie were finally getting a ride to feature them – we couldn’t help but get excited about the change! 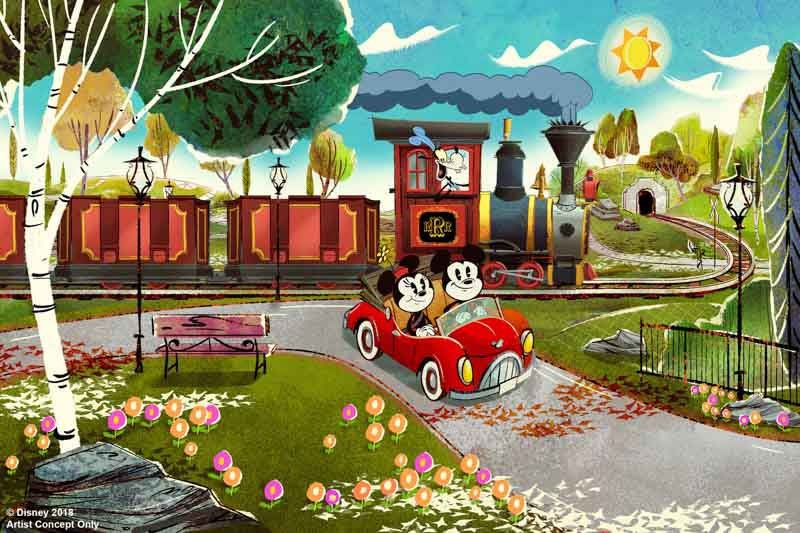 Mickey & Minnie’s Runaway Railway at Disney’s Hollywood Studios will allow guests to ride along through a Mickey Mouse cartoon with unexpected scenes in “2 ½D” form which according to Disney means no glasses required. The rumored opening date is speculated to fall between April and May 2019. Remember DisneyQuest? Well, as you may know by now, the former DisneyQuest location is currently being transformed into The NBA Experience at Disney Springs. The NBA Experience is said to feature interactive games and competitions, immersive experiences, a retail store, and an adjacent restaurant. If you’re a basketball fan, it sounds like THIS will be an experience not to pass up! The quiet, Moderate Resort known as Coronado Springs is getting a MASSIVE expansion that is already noticeable when driving by. This resort likely won’t be so “quiet” anymore, as a very large, 15-story tower is being built to offer 545 resort rooms. Plus, beyond the expansion of the tower, all 1,800 resort rooms at Coronado Springs are getting updates! This huge overhaul and expansion is scheduled to be complete by summer 2019. It was recently announced that in mid-2019, Epcot’s long-running “IllumiNations” Nighttime Spectacular will be ending. While this was a shock to us, we also believe this nighttime show is due for a change in our opinion. The new nighttime spectacular, which will debut in 2020, will celebrate how Disney music inspires people around the world and will feature massive floating set pieces, custom-built LED panels, choreographed moving fountains, lights, pyrotechnics, and lasers. Before that new show debuts, there will be a limited-time experience Epcot fans will love, called “Epcot Forever,” which will debut in fall 2019 and will feature classic Epcot tunes. A new Disney Vacation Club (DVC) Resort is in the works for Fall 2019! Being a DVC Resort, this means that Disney will open their DVC Membership timeshare for this resort. DVC members will be able to use their “points” to stay. This doesn’t mean non-DVC members can’t stay here, however! Anyone is welcome to stay, just the payment method is slightly different for the two. One exciting component to this 300-room resort is the ability to hop on the Disney Skyliner for easy transportation to and from Epcot and Hollywood Studios. Plus, there is a planned roof-top restaurant we can look forward to dining at. In 2017 it was Pandora – World of Avatar; 2018 was Toy Story Land, and 2019 promises to be one of the most exceptional lands yet… Star Wars: Galaxy’s Edge. Home to Hollywood Studios, this 14-acre land is going to be a Star Wars’ fans dream come true. All the details have yet to be released, but we do know enough to keep us impatiently waiting! Expect two attractions: Millennium Falcon: Smugglers Run and Star Wars: Rise of the Resistance. We also know there will be dining options (both quick service and table service restaurants), a Marketplace for shopping, and plenty of character encounters. We can’t wait for this EPIC land to open in late 2019! Disney has released the development of a space-themed restaurant that is going to be built above Mission: SPACE near Test Track in Epcot. We also know the restaurant is being operated by the Patina Restaurant Group which is the same group behind the beloved Via Napoli and Tutto Italia in Epcot. Simulated space views are expected to be around every turn in the restaurant so that guests dining will literally feel like they are dining in outer space! 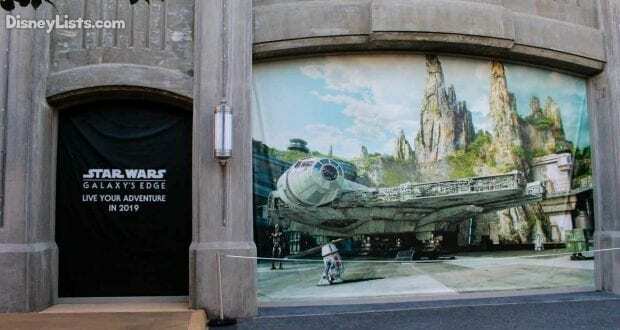 While no opening date has been released, the rumors all point to late 2019 – possibly around the Star Wars: Galaxy’s Edge timing. 2019 is going to be AMAZING! What are YOU most excited about?